Bramland tree felling Pretoria give free quotes,24/7.Bramland tree felling provides economic, professional tree felling and removal of tree services in Pretoria.Bramland Tree Felling have the neccesary experience to give our customers professional service and advice.Bramland tree felling only use new equipment that is in good working condition.All our vehicles are roadworthy.The owner personally supervises the staff. All our staff adheres to the strictest safety standards. 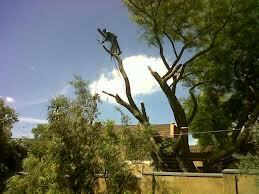 Bramland tree felling is completely insured.We do not charge transport fees for the quotations.